Sun and showers, 4°C, NW breeze. Cold house, the kitchen was 10°C when I got home tonight. It’s a few degrees higher now and the fire is roaring in the front room. The cold has penetrated deeply today, it reached its fingers beneath skin, veins and muscles. At fifty years old, I am yet to learn to like winter. 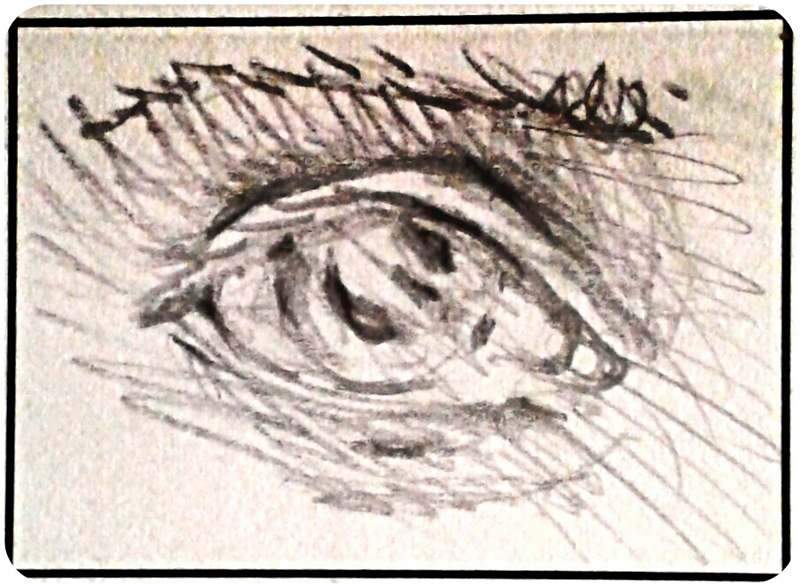 Drawing in my work diary, it’s only an inch across. This entry was posted in Home and tagged cold, Home, winter. Bookmark the permalink.